As you'll no doubt be aware, we've been creating for Michael 4 for a while now, and we've had a lot of Genesis users taking the time to convert our M4's to G2M. While it's a very scary thing launching into a new figure, we have taken on the challenge of creating a Genesis2Male character. 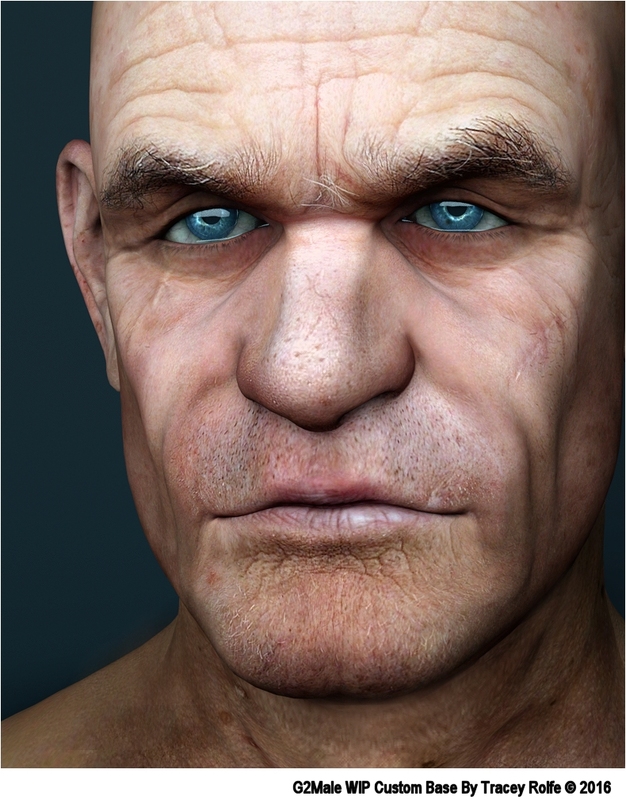 This is an early WIP, he doesn't have any bump or displacement yet, and for all that this render is in Iray, he doesn't actually have any Iray specific shaders yet either. We think he's heading in the right direction, and we're pleased with him so far.